We’ve been using Teaching Textbooks (TT) for well over a year now, so it’s time for a curriculum review. Sprite has completed TT 5 and is currently finishing up TT level 6. I have every intention of moving on to level 7 as soon as she has worked through level 6. In preschool and early elementary days, we used Singapore Math curriculum. 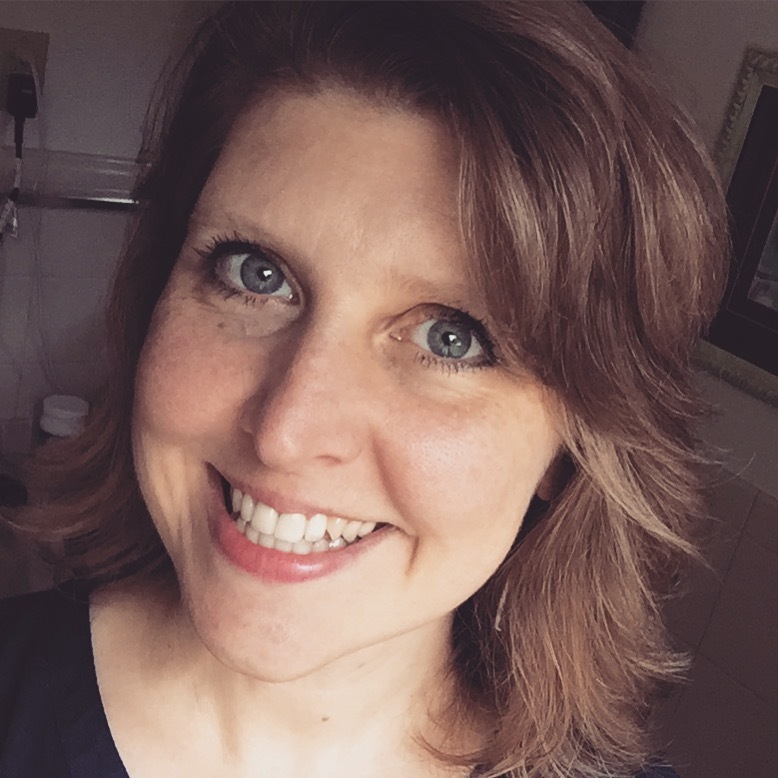 In third and fourth grades, I slowly transitioned into a living math approach. Then we made a huge change by shifting to TT, a computer based math curriculum while we continued our math history studies and math notebooking. Teaching Textbooks curriculum is computer based, so each level comes with four CDs. A large, paperback, spiral-bound textbook can be purchased with the CDs as a set or individually. It is a more expensive curriculum than many options, but the CDs hold their value very well when it comes time to sell your used curriculum. 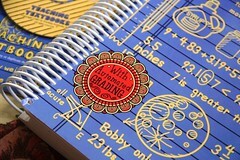 The textbook is designed to be a consumable, with the student writing directly in the book. In that way it’s really a combination textbook and workbook in one. 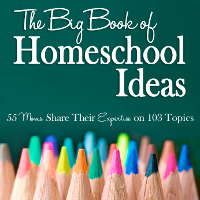 You could use notebook paper to write down the problems and save the textbook for another child or for resale. I want to make math as easy for Sprite as I can, so I allow her to write in her book. Generally she finds that the book offers enough blank space to work the problems, but occasionally she reaches for some notebook paper when an exercise is especially problematic. There is some teaching material in the book, but the discs present it with a visual and audio component that is good for auditory and visual learners both. Sprite tells me that she never looks at the instructional material in the book, preferring to listen to the disc’s lecture and follow along. Even when she needs to go back and listen again, she consistently chooses the computer format versus flipping back in the paperback book. Of course, the program immediately gives feedback on answers, both in the practice and in the quizzes. In the case of a wrong answer, there is often reteaching that clarifies the problem. There is a lot of review integrated into the program so that the students won’t forget what they have learned. I have found this review to be a good fit for Sprite’s learning style. I discovered that without review, even if the new lesson builds on previous learning, she would forget how to do something she had worked on in earlier lessons. Another advantage (or disadvantage depending on how you look at it) is that for the most part, TT takes math teaching off a homeschool mom’s radar. 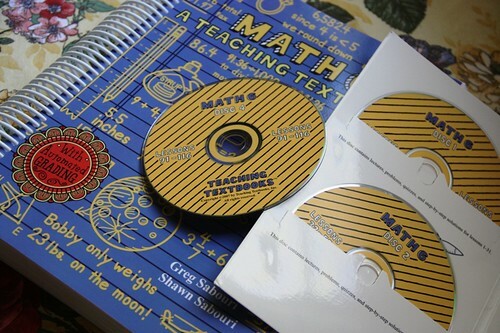 Because the discs include instruction via short “lectures” and walk the student through practice exercises and even quizzes, you don’t really have to plan any of the math lessons. 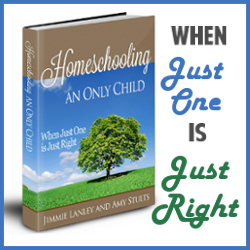 In fact, it’s easy to let your child simply go to the next thing without your even knowing what she is studying. If you’re looking for a math curriculum which a child can do independently, Teaching Textbooks Math Curriculum is a good choice. But if you really need to stay on top of what your child is studying in math, be aware that TT makes it easy to “forget” about math. I have to be very deliberate to look at the textbook at least every week to see what skills are being taught. Then I try to discuss the math with Sprite a few times a week. The computer program gives her immediate feedback on each answer and gives an overall grade at the end of every lesson. There is an option to print out a grade report of the chapter quizzes (pictured above). At the end of the year, you can simply average the quiz scores to assign a grade if that is necessary. The program is flexible and allows a student to move back to the instruction whenever necessary during the practice. A student can also skip problems and go back to them later. This is wonderful when there are trouble spots that require mom’s help. There’s no need to sit and wait for mom. Instead, the student can keep working on other problems and revisit the sticky ones when mom (or dad) can assist. The program also allows for skipping around in the textbook and for omitting entire lessons or chapters as well. This means that you can customize your use of TT to match what your child needs to focus on. The parent does have the ability to change quiz grades or allow a child to retake a quiz. TT has free placement tests on the main website. I do recommend printing those out and using them to determine what level your child needs — from grade 3 up to pre-calculus. Be sure to see the DEMO offered at TT website. Before buying this curriculum, let your child try out the demo to see if this way of learning is a good fit. It has been a very good fit for my highly visual daughter, and I plan to continue using TT. Do you have any questions about Teaching Textbooks or your own assessment if you have used it? My kids really love TT. We used it last year (our first year of hs’ing) and are using it again this year. I have to say I love it too because it frees up my time a lot. My oldest is in Algebra I and I do have to grade hers still because we have the 1st version. My youngest is in 1st grade and we’re using Math Mammoth for him. I just ordered TT yesterday for Kathryn, so when I saw this pop up, I wasn’t sure if I wanted to read it in case you didn’t review it favorably. 😉 We did the online sample lessons and she loved it, and if this is what it takes to get her over the math-malevolence she’s developed in the past year, it will be very worthwhile! We switched to TT pre-Algebra this year, after having used Singapore 3A-6B. So far, my daughter (7th grade) and I both love it, for many of the same reasons you mentioned. I do make a point to look over the textbook a couple of times a week with her, and we always go over her answers together. Today, we both realized that she had forgotten how to do prime factoring, so I went on line to print a few extra worksheets for her to practice on. I think there could be a little more practice, actually, but overall we love it. Thanks for the helpful and comprehensive review, Jimmie! Thanks for the review! We’ve used K12 (blech!) and Math Mammoth. I’ve been thinking of switching to TT this year, especially for my 5th grader. For those who are wanting additional practice, you might try http://www.khanacademy.org. There are videos and practice exercises, very well done and completely free. I ? TT! We switched from Saxon a few years ago and I must confess it was the best move we made. I see the cost as an investment in a personal on call 24/7 tutor for my children. I compared the cost of private tuition vs TT and TT is definately value for money. We love TT ~ and with four kids, it really is worth it for us, breaking down to a little over $25/child since we can use them year after year. Definitely love that aspect of it! I have been seriously looking at TT 6 for my DD–thank you for such a thorough review. I looked at the materials at two different conferences this year, but didn’t have the money then. I’m definitely going to order. We are about 1/4 of the way through TT4. So far it has been a great fit for my 10yo son. We do a lot of one-on-one intensive type work, so the independence of TT4 is a refreshing change. Love it! We switched to TT this year. I love, love, love the program — no more battles with my 12yo to do his math! Like your daughter, he easily forgets what he has been taught so the spiral style is better suited to him, and it gives him more independence. Great review. We used TT for all of our high school math and loved it. My oldest was not a math person and we tried two other curricula for Alg I until we found TT. It made sense to her and she grew very independent in completing her math lessons (which I appreciated). Some math people say it doesn’t cover as much as BJU, for example, in Alg II – but it does cover ‘the rest’ in the next year’s math. For that reason I would continue with this program through high school. We were very happy with it. What a great review! TT has saved the days for us. We are in our 2nd year of using it. I told Jamie that I’ve even witnessed my 12yo boy skipping after a good score on a lesson – and the thrill of ‘getting it’. Three of mine use it – 8th, 7th and 4th graders. It’s a fun presentation, we think. It’s also great to read all the others at top using it in high school successfully. That’s our next stop! How long, on average, do you think it takes to complete a lesson? Well, Sprite is… how shall I put this…. well, she’s sort of like the tortoise when it comes to her school work, especially math. It takes her around 45 – 50 minutes for a lesson, but I think that other more “hare-like” children would not need nearly as long. All three of my kids use TT – Algebra 2, Math 6, and Math 7. 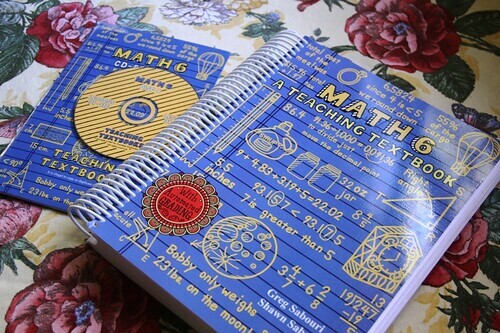 I was just able to sell my copy of Math 5 which I definitely do not need anymore for 70.00 on Amazon. I was also impressed that TT allowed current users of revised versions of Pre-Algebra and Algebra to order the revised version for about half price if you sent in your old version with your order. We’ve been using TT for 5 years now and plan to use it the rest of the way through high school. I just hope they add a Calculus level. Thank you for the good review! You are always so thorough and upfront on your reviews! Thank you so much for sharing. TT is something I have kept bookmarked for future use when I am ready for my boys to be more independent math students. We are enjoying Right Start for now, but I love looking ahead to the options for the future! just wanted to say hi jimmie, am in the middle of deciding if there is enough support in tt for my 16yo to manage alg2 on his own, and i found your sweet face! Thank you for your review of TT. We started using it this year for my son in 7th grade. 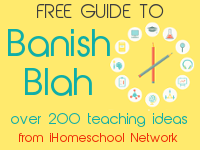 I was wondering if you have found any extra worksheets that go along with TT. I called the company and the person I spoke with said they did not. He is used to Math u See where a concept is reviewed multiple times in the same lesson and so he is having a hard time with TT since a new concept is introduced with less problems. We switched to TT this year after using Saxon. My 6th grader (who dislikes math) said, “I actually enjoy math now.” A miracle!